When you imagine a Pakistani shadi, images of chandeliers, candles, fairy lights, diyas, awesome food, dancing people, colours, romantic music and lots and lots of expenditure will instantly flood your mind! However, the place where people pay the most attention in the whole shadi is the stage where the new couple stands and meets their guests! In short, the center of attention. When you think of decorating a stage you might go blank with the idea because it is not anything that you usually do. But as you are at shadi tayri, we will help you with the issue. We are listing a number of stage decor ideas below to make your pictures look flawless and your’ll absolutely love each and every style. Drapes always give a look of charm and grace. Hanging drapes is another idea that you can use for your wedding stage decor. Whether you decide to use a variety of colours or just one for the stage decor, drapes will give a very romantic look to the whole setting. Surround the stage area with Turkish lamps or flower lanterns, or add a crystal chandelier inside a tent and you will instantly give your stage that’s faraway look! If you are one of the minimalistic types, you can also choose to follow a “less is more” plan and put a simple drape in a single colour across the centre of the stage which will also look very graceful. Use a silky material like satin for the drapes so that it adds the perfect flair to the whole theme. The red and gold combination is often seen at desi weddings for a number of reasons. One, gold symbolises good health, tradition and wealth while the colour red is symbolic of love, vitality and passion. 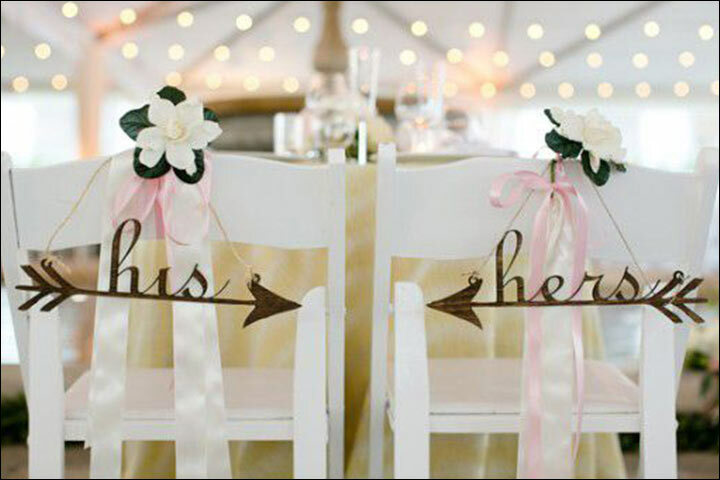 You can use colours for your stage decor which go in contrast with your wedding dress. 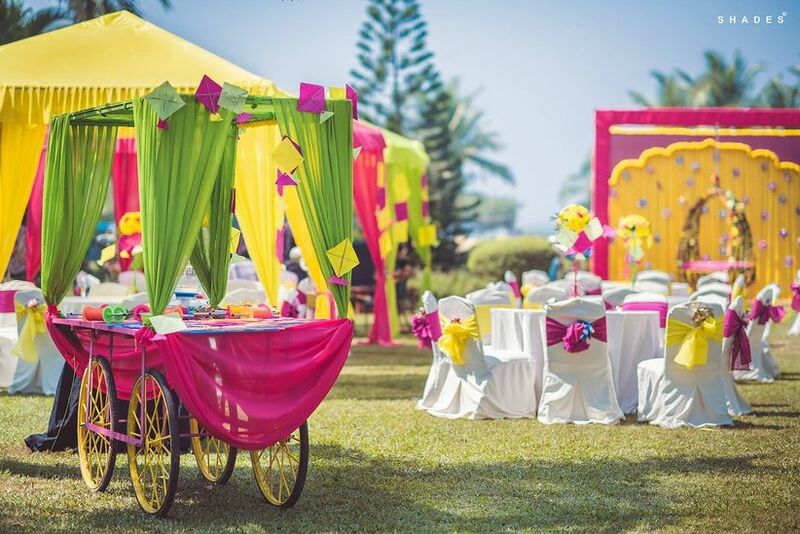 For instance, if your dress is a pale shade of peach or pink colour, then you can setup the stage in a canopy and decorate it with gold lanterns and red roses, giving a very attractive look. Another combination that is increasingly being seen today is that of white and gold. 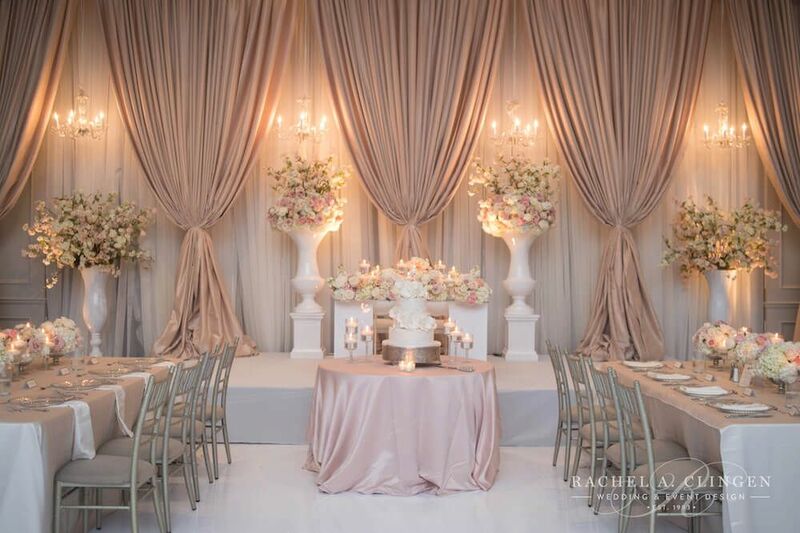 This is a modern combination and usually involves draping the stage backdrop with satin curtains in shades of pale gold and creamy whites with the stage area surrounded by a variety of flowers in different hues. The combination is traditional yet classy. It gives your stage an elegant vibe. 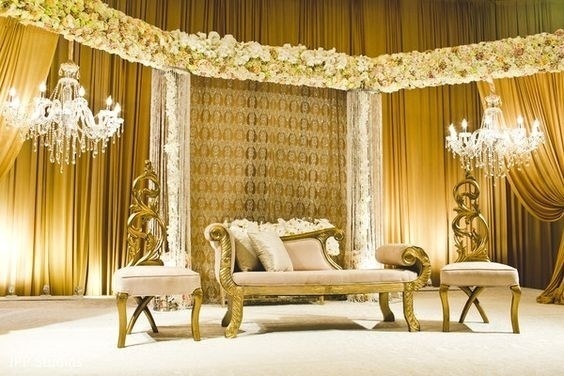 Whether it is the flowers or the drapes, everything dressed in white and gold will give a truly glamorous feel. Make sure you make the best use of this combination. Go for professional help if you think that’s necessary. We Pakistanis love flowers and all things floral. Any stage without floral decorations is incomplete. Combine delightful floral pastings with grass and light strings to give the stage a breath-taking appearance. 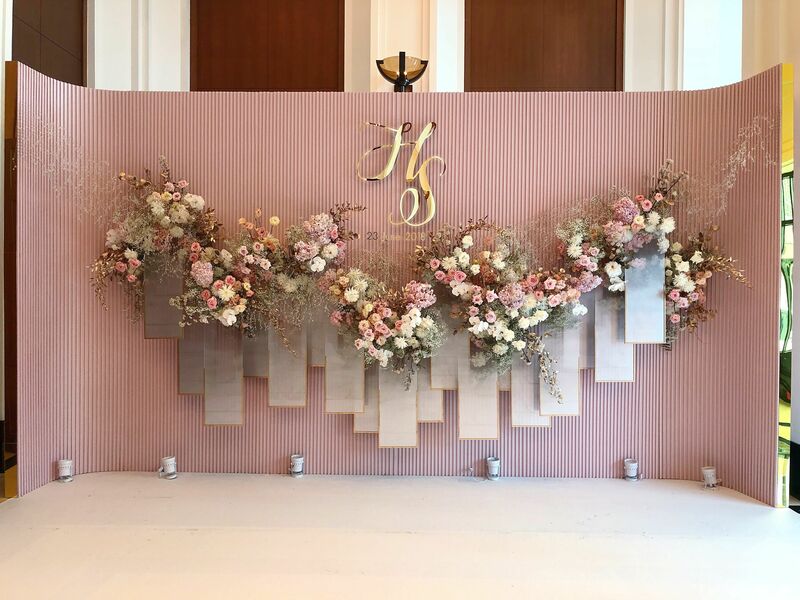 Whether you opt for real flowers or a floral printed background, a floral stage decoration will not disappoint. Make sure you complement it with great lighting to have an unbelievable impact. Nothing can be better than a stage that is set in the great ‘Mughlia’ style. Use gold lightings and create a classic stage backdrop with pillars and arches to create a royal appearance. After all, you are the king and queen that day. Enjoy the feeling of royalty and what’s more, the pictures will be great. 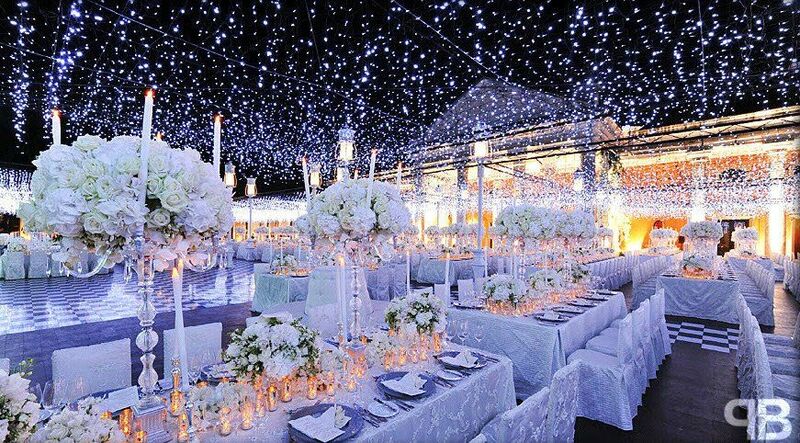 However, make sure that you take the services of a professional wedding planner for creating this amazing wedding stage décor. Dangling ribbons along with suspended lamps will give an air of delight to your stage. Add fresh flowers and ferns to make it look simply amazing. Make sure you take the best advantage of these dangling ribbons to create an incredible impact. This outstanding appearance of stage will have your guests taking pictures all night long! The bright hangings and colourful drapes add an aura of radiance and joviality to the wedding. 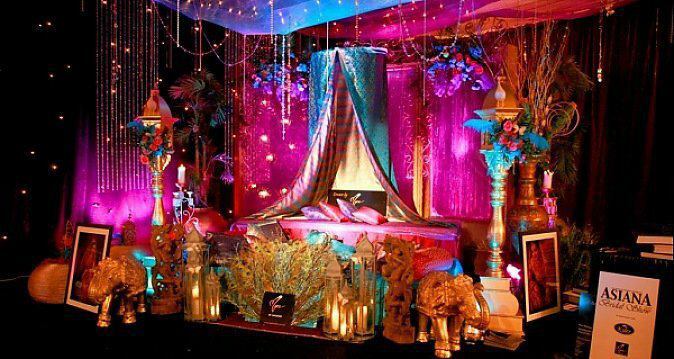 The dazzling colours combined with flashing lights give your wedding the perfect center stage. The scene will be picturesque. Add shiny crystals and printed designs to make it look even more amazing. Your wedding stage will give such a positive and energetic vibe that it will delight your guests. For a mystical feel, go for pearly white. Whether it is the backdrop lighting or the sofa for the couple, everything in white will give the stage a sophisticated appearance. Also, make sure you dress accordingly so that everything synchronize in harmony. Probably, this is the wedding you have dreamed about your entire life.